The next opponent of FC Barcelona in Champions has been defeated in his visit to Nice and sees how Lille moves away. They had 3 wins in a row in the league. El Niza, with a penalty converted by Remi Walter after an indication of the video arbitration ended the streak of Lyon (1-0), that conceded its first defeat in Ligue 1 since December 5 lost with Rennes. El Bruno Genesio, rival of Barcelona in the last 16 of the Champions League, had seven consecutive games without losing. Acumulated five consecutive wins in Lyon. Two in the French Cup and three in the league competition. Including the most recent, last Sunday against Paris Saint Germain, which had not lost a meeting. However, was overcome in the Allianz Riviera before a rival that intends to find stability to be placed in European positions and that in the previous date was goal scored by Lille. The balance was not broken until the 69th minute, when a raid on Lyon's Igniatius Ganago from Cameroon was interrupted by Tanguy Ndombele. The video arbitration warned the referee of the action and indicated the penalty. Remi Walter beat Anthony Lopes. Genesio resorted to the bench. But the departure of Martin Terrier first in the 80 and Maxwel Cornet and Kenny Tete, in 86, did not improve the success of Lyon, who left Nice empty. 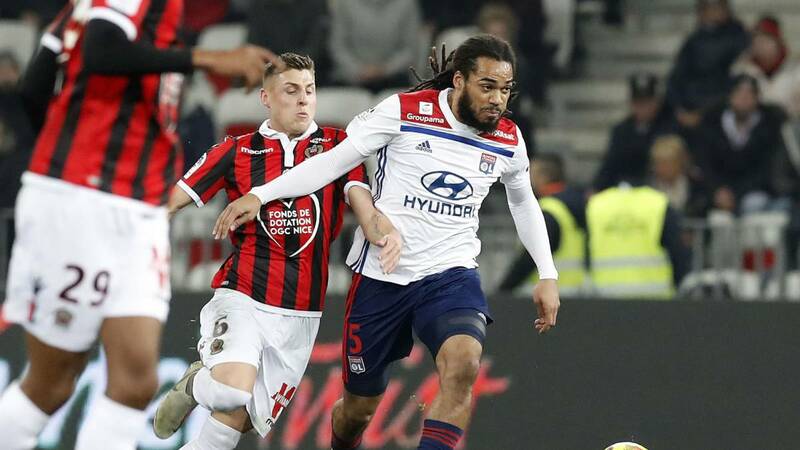 The Lyon suffered his fifth defeat of the season and is stuck in the third place further away from the second Lille, which now has six points of income after winning the Guingamp (0-2) .